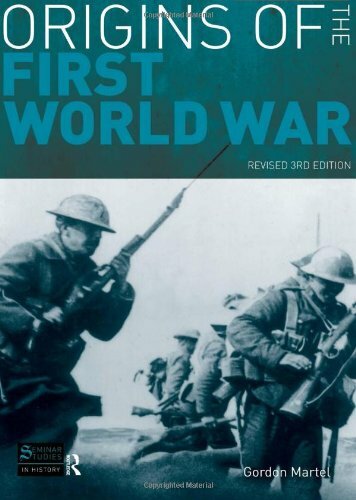 [PDF] Origins of the First World War: Revised 3rd Edition | Free eBooks Download - EBOOKEE! Description: Origins of the First World War summarizes and analyses the policies, issues and crises that brought Europe to war in 1914. Martel explains the position of each of the great powers, and their place in the system of alliances that dominated international politics. He examines the strategic and political problems that confronted each power, and the way in which society and economics influenced the decision-making process. In a clear and accessible manner, the book demonstrates: how and why the alliance system was created how it led to a network of complicated strategic commitments how an escalating series of international crises from the turn of the century fuelled preparations for war why the peculiarities of the Balkans are essential in understanding the outbreak of war in 1914 Incorporating the latest scholarship on the subject, this revised third edition provides a Guide to Further Reading, Who's Who and Glossary. The comprehensive selection of Documents include key treaties, crises and representations of popular militarism and nationalism. The book provides students with the clearest, most concise, accessible and up-to-date account of the Origins of the First World War available. No comments for "[PDF] Origins of the First World War: Revised 3rd Edition".